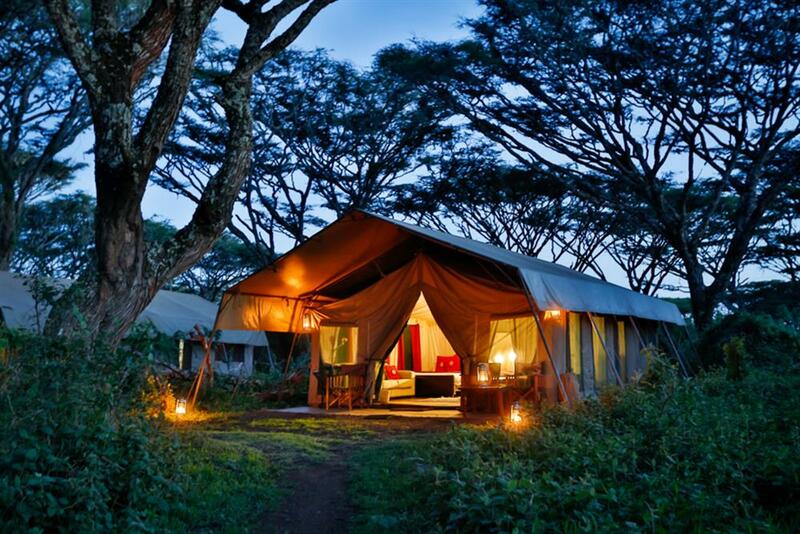 Lemala Ngorongoro is an intimate seasonal camp set in an ancient acacia forest on the rim of the crater. 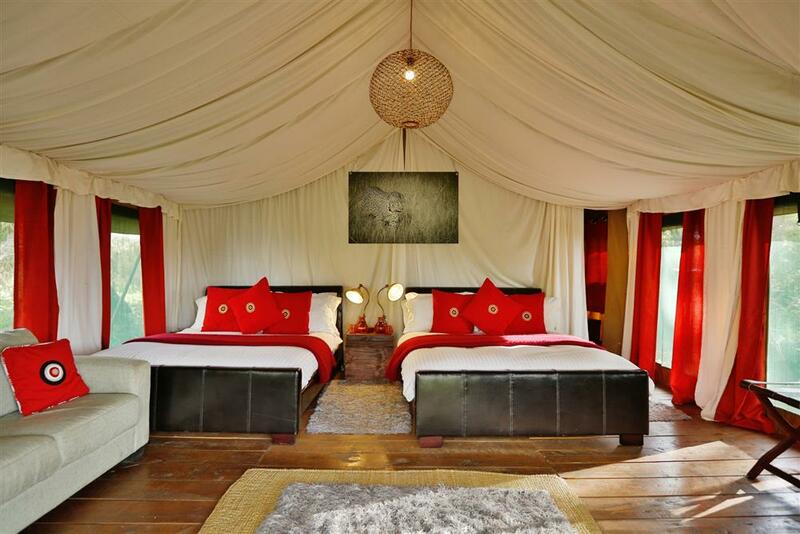 The camp offers accommodation under canvas in only 8 luxury tents and 1 family tent (accommodating 4 to 5 guests) to ensure seclusion in a pristine forest environment. Each spacious tent is outfitted with a gas heater, large single or king-size beds with warm duvets, wooden flooring with rugs, 24-hr solar lighting, and en suite bathrooms with a dressing area, flush toilet and a large safari shower. The mess tent is beautifully furnished with sofas, lamps, chests and rugs. 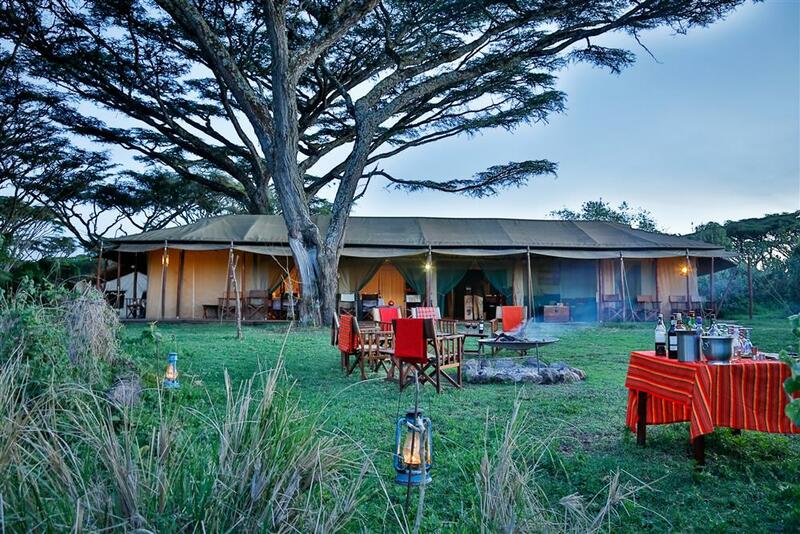 In the evening, guests gather around the campfire for sundowners before retiring for dinner under chandeliers hosted by the camp manager. 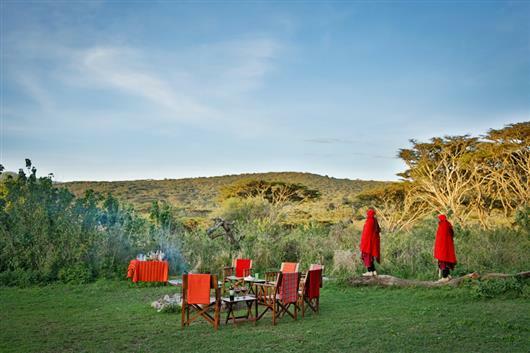 The camp works closely with the local Masai community who often provide a talk on the Conservation area or the Masai community. 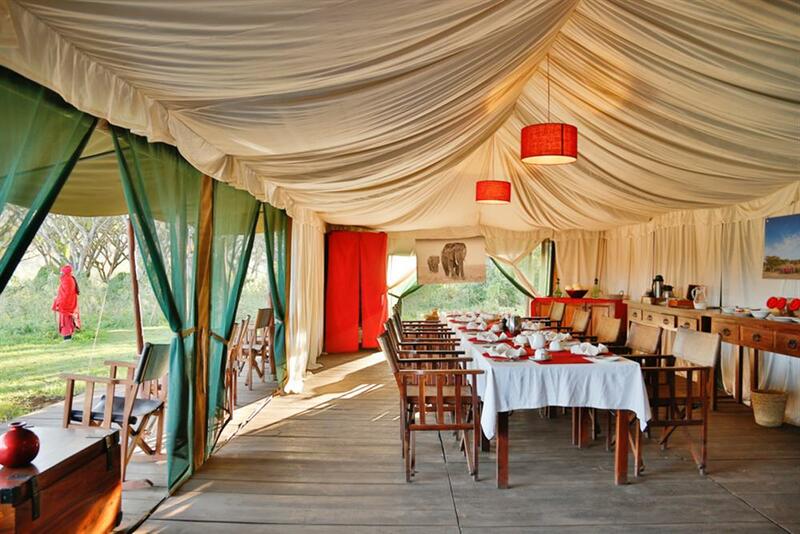 Lemala has quick and easy access into the crater which maximises game viewing and avoids the morning crater traffic. Game viewing from the camp can start as early as 6.15am and only takes 15 minutes to descend to the floor - the scenery is stunning and the wildlife abundant. Very often game drives are taken in solitude for nearly 2 hours in the best morning light before the traffic builds up. Lemala Ngorongoro is also in close proximity to Ol Moti and Empakaai craters for optional walks with an armed ranger and the Masai.